Politicians and social media users are questioning the mass screening of migrants conducted by Cologne police on New Years’ Eve, slamming the tactic as “racial profiling,” but law enforcement officials have defended the screening, citing security concerns. Yet, Green Party (Die Gruenen) leader Simone Peter has questioned the legality of the mass ID checks of migrants that were conducted on New Year’s Eve in Cologne. “A question of proportionality and legitimacy arises when almost 1,000 people are being checked and some detained based on how they look like,” Peter told the Rheinische Post. Her concerns were echoed by her colleague, Volker Beck, the party’s representative for migration. “Police measures should be based on [the person’s] dangers or the behavior of a person, not their identity,” he said, noting that “so-called ‘racial profiling’ – meaning police action based only on the supposed ethnic group, religion, and national origin – would not be a legitimate method.” He stressed, however, that he should first hear from the police before making a final judgement. The tightened security measures were put in place for this year’s New Year’s celebrations following the calamitous incidents of last year’s, when hundreds of Arab-looking men reportedly sexually harassed or abused hundreds of women in front of Cologne’s Cathedral and main railway station. According to the latest official information cited by Die Welt, last year’s New Year’s violence in Cologne has resulted in 267 investigations against 333 suspects. However, prosecutors have dropped half of those proceedings, and only 30 perpetrators have been convicted, the outlet added. 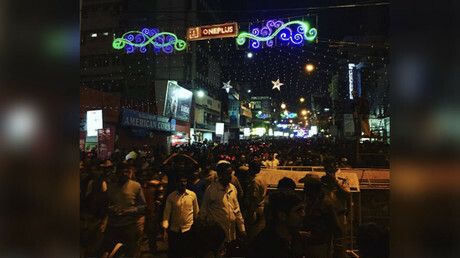 To avoid a repeat this year, police launched identification checks on a massive scale at the main rail hub and beefed up police presence to some 1,700 officers in the area of the festivities. Authorities took note of some 650 people’s ID’s, of which 98 percent were North Africans’, Mathies announced at a press conference on Sunday, adding that police had screened a total of 1,700 people and refused some 900 entrance to Cologne. 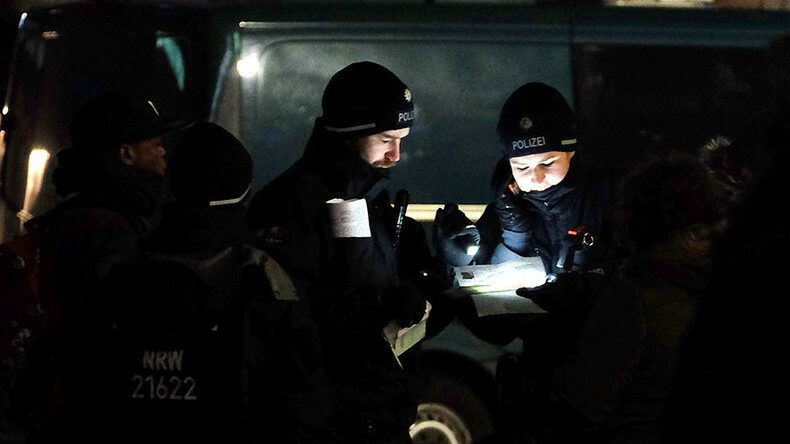 The federal police said that 92 people had been temporarily detained, of which only 16 were ethnic Germans. The mass ID checks did not sit well with some people on social media, however. “The so-called “security concept” of police in Cologne was actually a racial profiling,” one person wrote. “Well, dear police in Cologne. If you want to have some praise for your work, one should not resort to methods violating the constitution, such as racial profiling,” another message said. Law enforcement in Cologne also faced criticism for calling the North Africans “Nafris [Nafros in English]” in one of its tweets. Mathies apologized for the tweet saying it was a “working term” and wasn’t meant to be used in public. He tried to explain why police used it. “The term [Nafri] has been in use internally by police since 2013 as a synonym for young men from Northern Africa, who have been attracting attention for years for their readiness to use violence and or committing criminal offences,” Mathies told reporters on Monday. However, the police chief defended the mass screening of North Africans. “There have been situations, similar to what we experienced last year,” he stressed, adding that, in general, the screening operation had been a success. A Spokesperson for the German Interior Ministry has rejected allegations of racial profiling by police. Such methods “are in our view illegal and are neither practiced nor taught by the federal police," Johannes Dimroth told reporters on Monday. However, Dimroth did not clarify whether the tactics as applied in Cologne this year would be a “role model” for the future. “I cannot answer that question. But what I can say quite generally is that, self-evidently we take the view that the responsible authorities at the site adapt to the situation and measure each case individually." According to local federal police spokesperson Wolfgang Wurm, groups of migrants had teamed up in online messenger chats to plan a mass gathering in Cologne during the celebrations. “On the basis of smartphone chats, we have found out that groups of investigation relevant persons have agreed to meet in Cologne on New Year’s Eve,” Wurm told Focus Online. 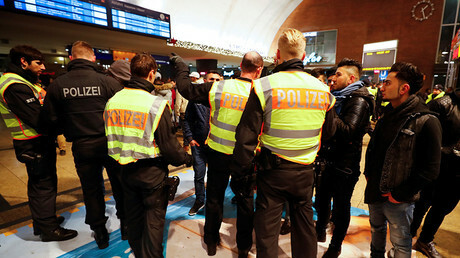 The meeting had been set for around 10pm local time at the festival area in front of Cologne’s central railway station. In 2016, Cologne’s police were accused of providing poor security for the New Year festivities in the city center, but after this year’s celebrations law enforcement received hundreds of emails and telephone calls thanking police for their activities, according to Mathies.